I am one of the millions who couldn’t put The Da Vinci Code down when it was published in 2003. 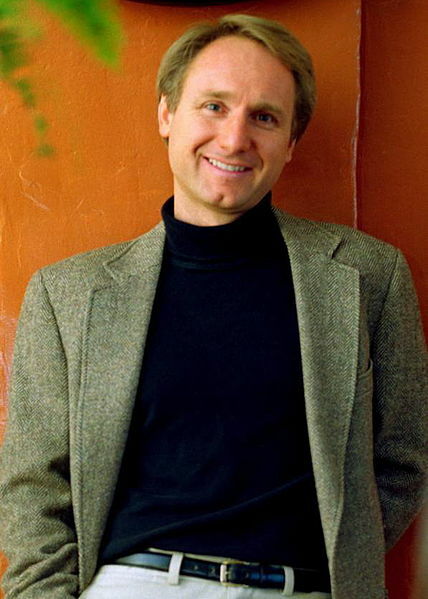 Dan Brown’s breakout thriller went on to become the second best selling book of all time, trailing only The Bible. Yet after reading his next offering, The Lost Symbol (2009), I swore off the author for good. Information overload and a two dimensional, comic strip villain made it a disappointing read. Time weakened my resolution, and happily so. With Inferno, published this month, the author has found his stride again. Weaknesses remain, but Dan Brown can tell an enthralling story. The code that Robert Langdon must decipher this time comes from Dante’s Divine Comedy, and especially the first book of that trilogy, The Inferno. It’s safe to say that everyone in the western world, Christian or not, has been influenced by The Divine Comedy, which gave us our graphic geographies of hell, purgatory, and paradise. Artists then painted Dante’s vision, shaping the devils and angels that still lurk in imagination. 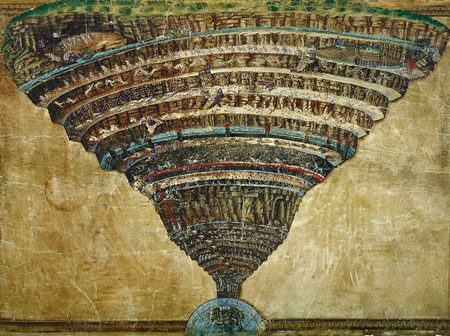 One of those paintings, Botticelli’s “La Mappa dell’Inferno” or “Map of Hell,” is a key to the mystery Langdon must decipher in his race to stop the release of an engineered plague designed to “cull the human herd” and prevent over population from destroying us all. There aren’t many thrillers with stakes higher than this, and all the elements of it are real. The threat of ever more people struggling for fixed or diminishing resources can hardly be exaggerated. The threat of bio-terrorism is here. Will genetic engineering open the gates of heaven or hell? Into this nail-biting mix, drawn from the headlines, Brown adds a pretty and brilliant sidekick for Langdon, an equally brilliant mad scientist, and black-uniformed spooks in pursuit. We have all the elements of an engrossing thriller, but Dan Brown has ways of subverting himself. His most obvious flaw is excessive information dumping. Inferno has two primary speeds, fast-forward chase scenes and slow motion data uploads. When the pacing is off, both can become tiresome. In one scene, Langdon searches for a clue in the 25th canto of Dante’s Paradiso. He borrows an iPhone from a tourist to google the relevant passage, but then, although all the police in Florence and a surveillance drone are on his tail, the action stops for a treatise on different translations of Dante. Robert Langdon, aka Brown, should take a page from Sherlock Holmes and not crowd his head or ours with facts that do not bear on the case at hand. I also had a problem with several late-in-the-story surprises. In any good thriller, things and people are not what they seem. Sometimes it takes a magician’s sleight-of-hand and clever misdirection to pull off major twists with characters whose thoughts we have shared all along. Several of Inferno’s revelations were clunky in a “What the…?” kind of way. Even with these flaws, I can recommend the book. It had been a long time since I’ve found myself carried away by a work of fiction; as I read, I put everything I could on hold to keep turning the pages. Reading Dan Brown convinces me yet again of the absolute primacy of story. I had the same reaction after a pilgrimage to the home of Jack London, a writer I loved when I was young. George Orwell, among others, described London’s writing and use of language as “poor,” yet more than 50 movies have been made from his novels and stories. Not bad for a writer whose life was over at 40. Fortunately for everyone who enjoys a gripping tale, Dan Brown, like London before him, has every reason to continue following his own star and forget the whining of critics like me. If he does, he will likely continue to bring us supremely engrossing fiction. This entry was posted in Authors, Book Reviews, Books and tagged authors, book reviews, books, Dan Brown, fiction, Inferno, Novels. Bookmark the permalink. Thanks for the review. I’m starting Inferno today!